Have you got yourself a cumbersome truck on your hands? One that has lost the ability to be driven? Has it simply gotten so old that it simply isn’t worth it to get it fixed? Or has it been written off somehow, like in a crash? A truck can end up useless via a few different avenues of bad luck, or sheer age. The result, however, is always the same. You need to somehow have the truck disposed of. If you can do so in a way that involves recycling, you have won! Fortunately, if you live in Sydney, you have the solution in your town. We are WreckMonster, and our Truck Wreckers in Sydney are, NSW’s number one experts in the art of automobile recycling. It doesn’t matter what the size of your truck is. It could be a big truck, and it could be a small truck. We will buy it off you for top cash! Sydney is a large place. When we travel from one end to another, it costs us money for travel. But we aren’t going to make you pay for it by offering less money for your vehicle. Instead, we love to take the cost on ourselves. There are no hidden fees to be found here at WreckMonster. You will be able to take advantage of our amazing services regardless of where you are in Sydney. Be it Greenacre, Blacktown, Campbelltown, Liverpool, Richmond, Parramatta, Baulkham Hills, Ultimo and Penrith. We have a fleet of vehicles that are specially designed to be able to transport large vehicles such as trucks across town. And a team of super professional vehicle removal experts on hand. We spare no expense to make sure you get the best deal ever! There is no such thing as a truck make that we didn’t buy if offered to us. It is very important to us that each and every truck owner of Sydney has a way to get rid of their truck once it reaches the end of its life. Otherwise, what are they going to do? Abandon it somewhere? Throw it off a cliff? Leave at a junkyard? No, sell it to us and get the best cash in return. We buy the following models. Mercedes, Toyota, Isuzu, Freightliner, UD, Volvo, Western Star, Scania, RFW, DAF, Titan, Mack, Man, Iveco, Kenworth, Hino and Fuso. We buy any make not in that list and you need to sell. We all know that how important is the vehicle recycling process. When we get that truck off you, we will take it to pieces. The parts that can be reused will be sold second hand. The parts that can’t be re-used will be sold to scrap metal yards, along with the crushed shell. This is all so that the environment doesn’t suffer as a result of cars even when the car is dead. Finally, the number to call us is 0401 333 393. Or you can fill out the form on our website. We look forward to hearing from you! If you have a vehicle that has always been there for you when you needed transportation, it deserves to be recycled once it dies. This is much better than dumping it or whatever other plans you had. Get it recycled and know that you are helping the planet. However, where in Sydney is the best place to get this done? Car Scrap Yards in Sydney? There are so many cash for cars companies out there that it may be hard to decide which one to sell to. It is important to understand that they are all different in many ways. Some don’t do free quotes or free removal. Others will not pay enough for the car in the first place. Then there are all the companies with unfriendly customer service teams and unprofessional practices. You can find out which is which by going to all their websites and getting a few different quotes. When you go online and look at their websites, you can see who provides free quotes and free removal. However, you will also want to know how much they pay for the cars, and who pays the most. You can either fill out the form on the website or call them up, it’s your choice. When you get the free quote, it should come with no obligations to accept. Look at them all and see which one is the most generous. You can find out whether their recycling techniques are the best. All you need to do is ask. The best recycling practices include making sure that the cars are drained of all their fluids before they are dismantled. Otherwise those fluids, which are harmful to the environment, will get everywhere and eventually find their way into the waterways. Some auto wreckers are not into buy all makes and models. This is due to the fact that some makes are more popular than others and they want to make sure that they are spending their money wisely. But other cash for scrap car companies will buy any make and any model. That latter practice needs to be rewarded by people selling their vehicles to them instead of the others. So, if you can, sell your vehicle to the company that buys all makes and model. Which is the best scrap car place in Sydney, NSW? Keen to find out the best place to sell your car in Sydney? If you have the good luck of being a resident of the beautiful city of Sydney, you should choose to sell to WreckMonster. As a leading Sydney’s car removals, we are the number one auto wrecking outfit in the area. We remove for free, accept all makes and models, have loads of experience, and care about the environment. But best of all, we pay the best amounts of cash for cars, trucks, Utes, vans, SUV’s and 4×4’s. 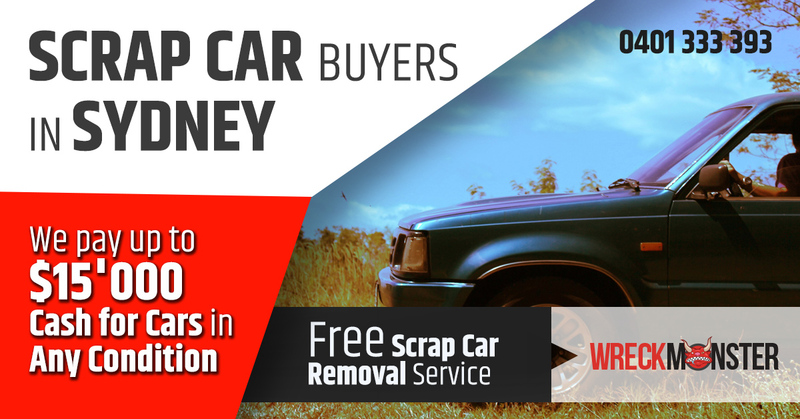 Call us at 0401 333 393 or use the online form located easily on our website to book the free scrap car removal today. We would love to hear from you! Many people are not aware how wrecked vehicles are processed. Consequently, people often resist in scrapping their wrecked automobiles with salvage yards. However, it’s important to understand how scrap yard dealers process damaged or totalled vehicles. As every junk yard dealer recycle unwanted vehicles by using government regulated and environmentally safe techniques. The process of sourcing junk automobiles is of utmost importance for automobile recyclers. If they do it carelessly, the consequences are bad. Most reputable auto wrecking yards appoint skilled employees to handle this job. Beside this, they also use leading edge softwares for sourcing vehicles. Insurance companies usually obtain automobiles from road accidents that are declared as a total loss. They sell those accidental damaged wheels at insurance auto auctions. People bid on these automobiles and whoever offer the highest cash for car, gets the deal. After the acquisition of totalled or scrap vehicles, salvage yard experts make sure to utilize them fully. They do this by sourcing out the usable and fine-working parts and add them to their massive inventory. Basically, they assess the condition of every part and then assign a grade to it before putting in stock. This help their salesperson to understand the performance of the component. They sell these car body parts as second hand spare parts at a reasonable value. When customers visit them, they quickly provide an appropriate part for their vehicle needs. It’s due to the extensive yard management system. They responsibly save the record and description of each part in their computer. So when a customer requests any part, they can easily find the exact one. This is the most important step of processing salvaged or totalled automobiles. The professionals at junk yards start by inspecting the valuable components in wrecked vehicles. Wreckers put more emphasis in locating valuable components like the transmission and engine. After this, they carefully take off all the toxic fluids, oils, gases and other hazardous components. When the dissembling process is completed, their expert wrecker inspects the automobiles. This is done to make sure that proper process has been followed while dismantling the automobile. After the damaged car or truck has been torn into parts. The professionals at scrap yards start selling them at quick pace. They primarily act as a second hand parts suppliers and deals with various buyers. This includes auto dealerships, private auto repair shops and insurance companies. They make sure that every component is 100% verified and ready to be sold when adding it to the inventory. In fact, the auto body components are properly inspected and cleaned before being sold. Again their efficient management system also operate an online marketplace for used spare part buyers. At the time of taking off parts from automobiles, wreckers take care to remove the correct one. Their technicians ensure to perform the main quality control to pull off the correct part. The components are then marked and tagged with the routing details. After the damaged automobile has been processed and its components have been inventoried and sold. They make sure to deliver the ordered components to the customers. Basically, they offer delivery services to clients that live within their delivery zone. They also charge a fair percentage of freight charges as well. Finally, the leftover auto body and its non-useful materials are collected in a large container. It is towed to a recycler for the process of crushing. In this process, the leftover vehicle is processed into chunks of useful metal. 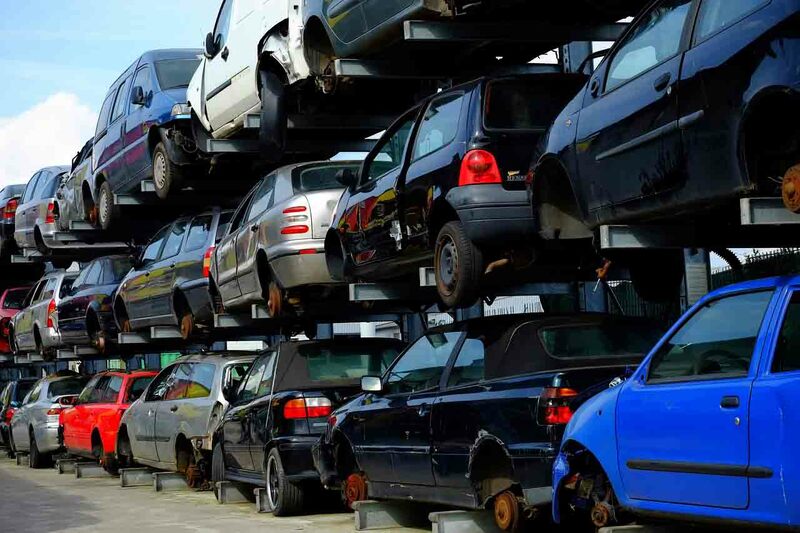 Overall, salvage yards offer highly efficient and eco-friendly services for scrapping unwanted automobiles. After all, every unwanted vehicle owner want their automobiles to be safely wrecked, recycled and disposed. Why Should You Choose Wreck Monster? How to sell a car that has permanently broken down? So, your car has stopped running and it is more expensive to have it fixed than the vehicle is worth. This is every car owner’s nightmare. What are you going to do? Pay a towing company to haul it off to the local junk yard? You certainly can’t place an advertisement in a vain attempt to sell it. People don’t buy junk vehicles. They want to spend their hard earned money on automobiles that they can drive. Well, that isn’t strictly true. You do have another option. That option is selling your old clunker to your local auto wrecking company. It is not the same as sending it off to a junk yard either. You actually get money this way. And it is incredibly fast. 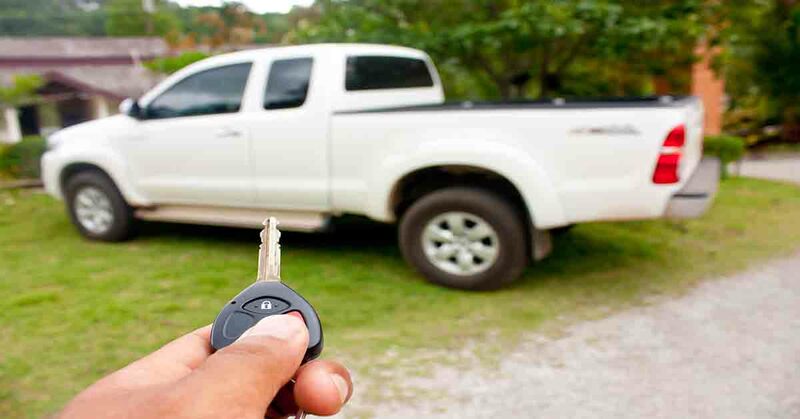 Your vehicle will be gone within the same day that you contacted them. How to sell your broken car for wreckers in Sydney? Auto wrecking companies buy all sorts of vehicles, from your regular car all the way to SUV’s, Utes, trucks, vans and 4×4’s. And the chances are that you will be able to find an auto wrecking company that will buy your specific make and model. Some of them specialise and only buy certain brands, and some buy them all. But none of that answers the question: What do they want with your junk car? Why do they buy scrap vehicles at all? They are doing this because they make a living from the sale of used car parts. Once they have hauled a vehicle back to their salvage yard, they drain all the fluids and then dismantle the vehicle. Any part or component that can be sold second hand is saved, and the rest is sold to scrap metal companies for more money. Many folk are operating under the false assumption that their clunker is not worth a cent. It is, after all, useless. But this isn’t taking into account the value of the parts that are still in usable condition. This is one of the variables that will influence how much your automobile will get when selling to an auto wrecking company. It isn’t only the amount of parts that can be salvaged, even though that is important. The age of the vehicle also matters. Parts on older cars will have more wear and tear, therefore selling at a lower price due to shorter life-spans. The make and model of your vehicle and the parts on it also gets taken into account. This is due to the law of supply and demand. The more popular a make is, the more people are going to want replacement parts for that brand of vehicle. This allows the seller to sell them for more money, as they will be sold easily. Parts that are harder to sell will need lower prices to entice the customer to part with their money in order to buy it. Don’t just leave that scrap automobile on your lawn. Contact us today and make some cash! 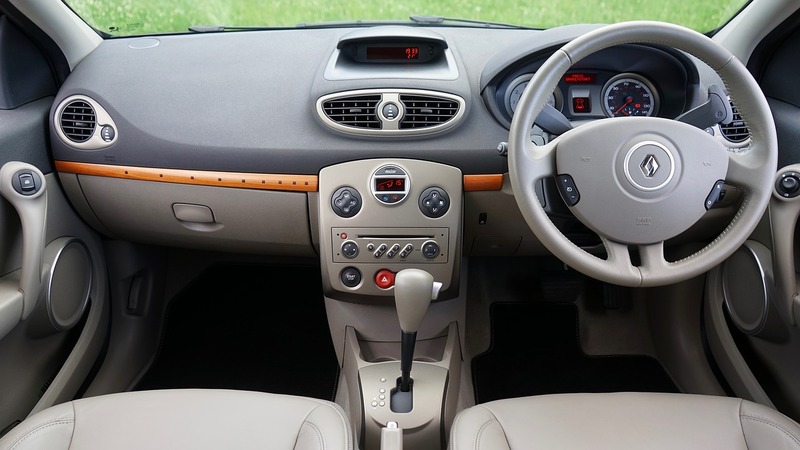 When shopping for a new or used car most people commonly think about a few common aspects. They are the make, model and the cost of the vehicle. However, these attributes are not the only important thing that must be considered at the time of purchase. There are a number of other important aspects than looking at the appearance and price of the automobile. There are crucial specifications like the transmission which play a more valuable role than other auto body components and accessories. The major source of power in a vehicle is the battery and engine. But it is the transmission which enables it to accelerate smoothly. There are various types of auto transmissions manufactured all over the world. The most common ones are Manual and Automatic transmissions. They operate by when the driver shifts the gears in the engine. This process transfers the required power to the wheels and the vehicle is able to run smoothly. There is a particular ratio for every gear which prevents the wheel from spinning together with the engine. Manual and Automatic transmissions have a widely different set of attributes. There vast difference between the two in terms of characteristics like accident ratio, design and performance. That’s why every auto owner must ensure to buy a transmission system that is perfectly suitable for their automobile. Before you sign the necessary paperwork make sure to check the spec suits your vehicle’s requirements. When driving an automobile with manual transmission most people change 5 gears. The first gear is shifted slowly while the fifth is shifted very quickly. When changing the gear you have to also use the clutch. On the other hand, automatic transmissions have two gears. After you apply the first gear your automobile will slowly start moving at low speed. When it comes to an automatic transmission one can use it in a hassle-free way. All you have to do is just focus on the steering wheel and gas pedal. It is not a good idea to use manual transmission if you want to avoid troubles. It is because using manual one takes proper coordination of throttle, gears and clutch. This provides smooth rides to the auto owner. According to a recent survey, people having a manual car often get involved in road accidents. Authorities stated that the common reason for this is lack of coordination in the gears, throttle and clutch. It leads to the failure of the engine and drives become the victim of accidents. There is no need to spend much money to improve the performance of the vehicle though. Just make sure to check your transmission from time to time. If you find any fault get it repaired or replaced quickly. When it comes to driving experience there is a difference in both the transmission types. If you want a better control on your automobile use manual transmission. Whereas, if you live in an area with heavy traffic on the roads automatic vehicle will be ideal option. It can be troublesome if you have to drive through heavy traffic with a manual automobile. Additionally, it is challenging to drive an automatic vehicle on rough roads. Overall, the cost of purchasing, fixing and maintaining a manual vehicle is usually much less in contrast to automatic one. Plus it offers an improved gas mileage than automatic counterpart. Hence, we can say that it is highly efficient. However, if you are travelling in an automatic car you can easily prevent accidents. Need more information about the cars just like this post or probably looking after a replacement car body part? Get in touch with Wreckmonster.com.au who offer the largest inventory of used auto parts and accessories in Sydney, NSW. Is there an old car on your lawn that you would like to sell? Maybe you are hesitant because you believe that it will be a hard struggle, owing mainly to the fact that the vehicle in question is so old and broken down. Most folk agree that selling a car that doesn’t work is an uphill battle. But this simply isn’t true. If you live in Newcastle you have a vast array of cash for cars services who are more than willing to buy your old and useless automobile. Here is a guide of the step by step variety to aid you in your attempts to sell that old automobile gathering rust on your property. The truth is that there are a great many automobile wrecking outfits out there. All you have to do is get on your computer. Using your preferred search engine, the next part is to type in “cash for cars, Newcastle” or “auto wreckers Newcastle.” Or you can type something similar. You will get a great plenty of search results. Don’t be daunted, as it is easy to narrow down the amount of choices. There are a few different attributes you will want out of the company that you eventually choose to sell your old automobile to in Newcastle. One of them is trustworthy. You can discover how trustworthy a company is by looking into whether they do things like offer free removal, or whether they are fully certified and licenced. You want the transaction to be fully legal, and seeing that the company in question has all the documentation to prove they are true professionals is a huge help. Also, you can go onto customer feedback sites such as Yelp to see if their trustworthiness has translated well into a solid reputation. Also ask friends and family if they have dealt with any of these companies, and if they had good experiences. Don’t ask random people on the street. Do they perform free removal? This is a great service to look out for, as it means that you won’t have any money deducted from the value of your car for any reason. They won’t require that you pay for the transportation of your automobile. They won’t hide the cost from you either. Also, do they accept all makes and models? If they do, this says something about the size of their operation and how likely they are to have been in the industry enough to build themselves up to that size. A serious amount of experience is also a nice indicator of how professional and efficient they will be. If they don’t offer free quotes, don’t get one. Get some free quotes from a few different auto wrecking companies in Newcastle. You will need to contact them either via phone or online, and tell them all about your automobile. This includes what type of car it is. What is its make? What model is it? How old is the vehicle? It is also very important to report on its condition. These details are very important. Why is this? Because then the valuation experts at the company you are contacting will be able to formulate a generous and accurate estimate. Once you get your free quote and you gather up that info with all the other information on the companies you have gotten and used it all to choose one company, accept that companies offer. They will arrange for a time and place that suites you for them to come over with their removal equipment. The whole process will be over very quickly and at the end of it you will have gotten top cash for your car in Newcastle! Need a top cash for your car today? Contact Wreckmonster today or visit us today @ 1/2 Pine Rd, Yennora. Have you made plans to go sight-seeing in a foreign country? Is your time in said country going to take upwards of a month to complete? Then you need to get your hands on a car while you are there. This will help you to travel around, and will give you the freedom of going wherever you want, when you want. A truly fun time will be had as a result. You will find that a lot of backpackers do this. However, when they do, they tend to fail at planning ahead for when it is time to sell the car. If you make the same mistake, you may find that the process of selling it will be more stressful than it needs to be. Also, make sure that you recognise the condition of the vehicle yourself. If you think that vehicle is not even in an average condition then you better go for the Auto Wreckers option. Read more, general attributes of Auto Wreckers. The following are some handy hints for making sure that you don’t run into any hassles when it comes time to sell your backpacker car. If you are selling a backpacker car, truck, van, 4×4 or SUV’s, it is very wise to have registration that is in excess of three months. If you are trying to sell your car and the registration is just about to expire, this will most likely make it just a little bit harder to sell the vehicle. Buyers will want a car that they don’t have to spend more money on once they buy it. So make sure that you have enough registration on your car for it to have plenty left when it comes to sell it. Selling a vehicle requires good promotion. This is where advertising comes in. Get on the internet and advertise it there. It is the best way. Take great photos, use your gift of the gab to write a great description, and do this on a few different sites. If you are in Australia, Gumtree is one such website that will be of great use to you. If you want to get that little bit extra luck in selling your car, you may want to put something up on the real life notice boards at a backpackers. Don’t discount the usefulness of car markets as well. Getting your vehicle sale-ready is of the upmost importance. This is the same principal as going on a job interview. The car needs to make a good first impression. It might be in the best condition in the world underneath the hood. But if it looks terrible outside and inside, your luck in selling it while getting the best money will be reduced significantly. All this means is that you need to give the vehicle a good clean. If it picked up a few bumps and scrapes, maybe get those repaired as well. The time and place that you sell a vehicle in can have an impact on the amount of money you get for your car, and the speed at which you sell it. 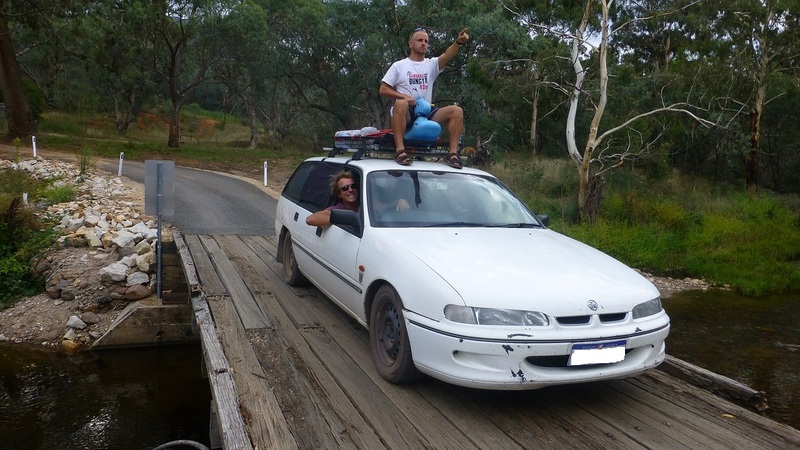 Selling a backpacker car in Sydney? It will only take one day to sell. And you will get the best money for it too! So sell your car to a cash for car service today and enjoy the quick cash in hand. Whether you want to remove your scrap vehicle or looking to purchase used spare parts at cheap prices, you will quite often look to the auto wreckers for help. So, you might want to know all about wreckers and the benefits of acquiring their services. However, they provide countless benefits when it comes to getting rid of unwanted vehicles quickly. Basically wreckers are also popular as dismantlers, auto recycling firms or scrap yards. They purchase all types of automobiles that are wrecked, not-running or beyond repair. Beside this they also supply second hand auto parts at cheap rates. Plus, they give a generous level of money for old, junk or damaged automobiles. Not only their junk car sale process is totally hassle free but it also keeps the environment pollution free. It is clearly the best part of their job and most people appreciate their good efforts. 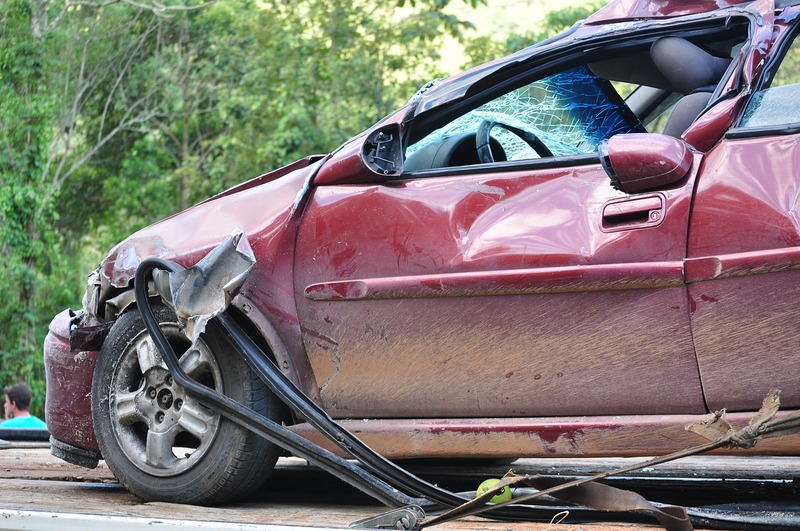 In this guide we have explained some basic characteristics of auto wreckers. Understanding their general qualities will help you to know how their services work and how it is helpful to the environment. 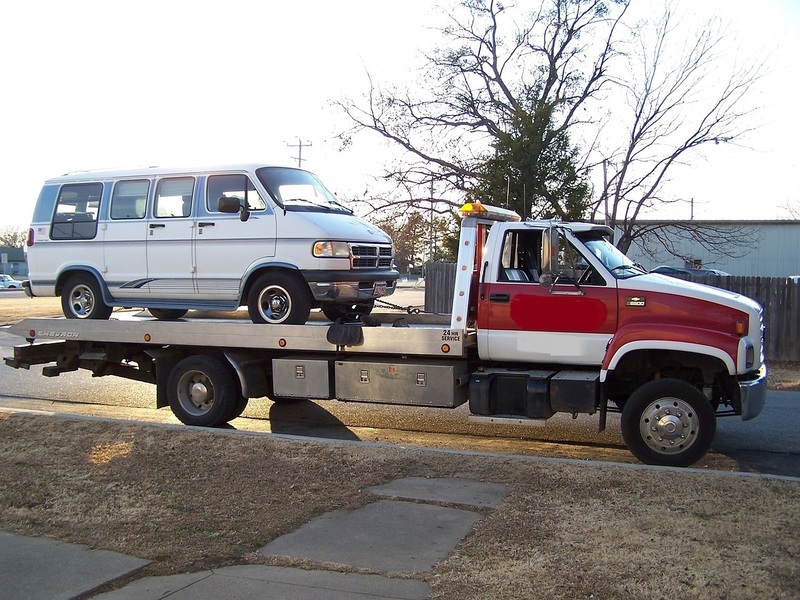 Why we need auto wrecking service? Most people often wonder why they should use car wrecking services whenever they have an old or unwanted automobile. Because whenever we have a useless and rusted car, truck, Ute, van, or SUV sitting our garage or driveway. It tends to spoil the clean and beautiful view of our property. Thus, it needs to be taken off as quickly as possible. If you delay to its sale it will soon become a huge burden. As you will have to wash and clean your old vehicle regularly, even when it is not in use. This is where auto wreckers benefit people by buying their junk wheels conveniently in a very less time. Most of them will buy any year, make, model and condition irrespective of the undesirable condition. By selling your scrap car for cash you can also do your part to help the surrounding environment. There can be different motives why you may consider your old automobile as reckless. It can be old-fashioned, harshly damaged in an accident, not worth using and not worth repairing. Sometimes you may be running out of cheap used spare parts to keep your old vehicle travelable. 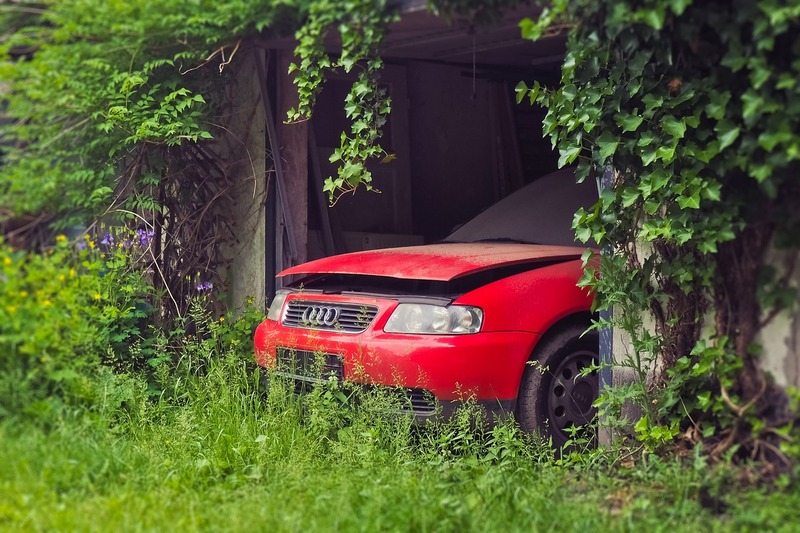 There can be countless reasons but car wreckers will still accept your old clunker. Contact a good reputable auto wrecking company or junk yard near you to get more information. What exactly auto wreckers do? Auto wreckers will be willing to buy your wheels for top dollars as long as it is worth some money. Whether it is in terms of usable parts or just scrap metal. Nearly all good car wreckers are specialised in their business and use up-to-date equipment for auto dismantling. They primarily focus on breaking down automobiles those are not worth driving anymore. They take it apart into smaller portion to extract the useful parts and recyclable chunks of metals. By selling them as spare they are able to earn a good sum of money. Read more how do junk yards operate. That’s the reason most of them are eager to purchase all makes and models that are out their in the market. However, this doesn’t mean that they don’t buy vehicles that are outdated. They are well qualified in their business and know how to valuate each vehicle fairly. However, they asses automobiles with respect to some basic factors like manufacturing company, production year, the type and the model. Analyzing these information help car wreckers to offer the best monetary value for a vehicle. How does their car wrecking process actually work? Remove fluids: We all know that every vehicle has toxic fluids that are hazardous once they leak out from the vehicle. So, they must be drained out from the vehicle to avoid environment pollution. Whereas there are also some fluids like antifreeze, freon and motor oil which are reusable. Auto wreckers flush out the toxic fluids. While they clean the reusable ones and repurpose them for antifreeze, refrigerant and energy. Take off parts: Sure, you may consider your old car merely as a piece of scrap if it is not worth driving or accidental. But fortunately, car wreckers know how to fetch money from every possible shape of vehicle. Whether wrecked, broken, junk, flooded, burnt or dysfunctional. They are always able to find some parts which can be sold after refurbishing. The process mainly includes cleaning, recycling and testing the used working parts. After this they are sold at cheap rates to the customer who want to fix their vehicles on a budget. Recycling components: Every vehicle may have some components which can be removed and processed before recycling. This commonly goes for components like dead auto batteries which have toxic and harmful materials such as lead. Once the lead is extracted from the car’s battery it can be reurposed for manufacturing new ones. Even the plastic can be extracted from the vehicle’s battery and reused to manufacture battery cases. Additionally, auto tyres can be recycled during the process of wrecking. Crush the remaining vehicle: After all the toxic fluids and components have been take off from the automobile and recycled. The automobile is sent to a crushing facility. There it is processed through the crusher and flattened. Then it is shredded into tiny pieces and specialized magnets are used to separate steel chunks. How easily you can contact them? When it comes to searching best auto wreckers near you there is a simple hard and fast rule that you can choose. Just select your favourite browser and contact the three most professional car wrecking companies in your town. This will give you the names of most reputable companies near you. As soon as you check their website you can find all necessary information about them including their contact number. Just make them a call to discuss about your vehicle’s basic details like make, model and condition. It is always a better decision to contact a responsive and trustworthy company like Wreckmonster, find out why should you choose Wreck Monster. Because they will be able to give you the most handsome price within the guaranteed time period. Once you have agreed upon a fair deal, they will straight away visit your place to remove the car. You will just need to complete the required paperwork and hand over your auto’s keys to them. And you will receive a sweet amount of money without making any hard efforts. How much value can I expect to get? As we have discussed above you must not make haste to finalize a deal with any auto wrecking firm. Be sure to take your time and do adequate research about the auto removal companies near you. Please try to get free cash quotes from at least 2-3 companies. When you agree to deal with any company, you can try doing some haggling on the price. This way you can expect to get a higher price for your wheels. Most of the companies certainly consider the price figures shared by their customers. Of course, they don’t want to spoil the good reputation that they have earned in their years of service.